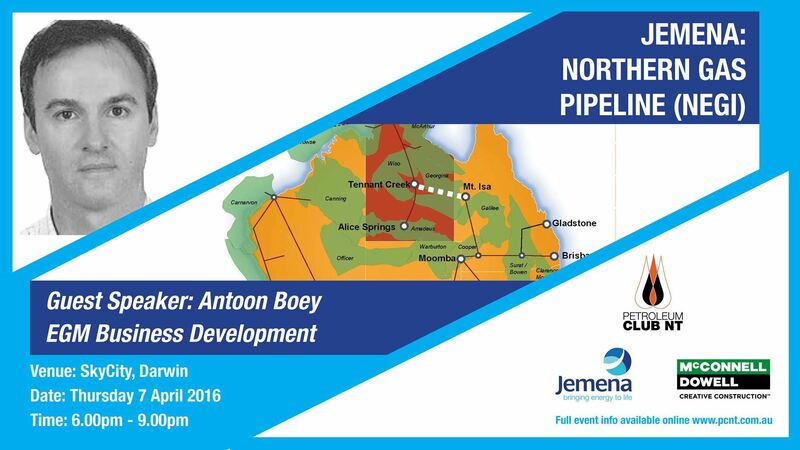 As Executive General Manager, Business Development at Jemena, Antoon Boey is well placed to share insights regarding the innovative Northern Gas Pipeline (NGP) nation-building project. Jemena was selected in November 2015 to build and operate the NGP. The 623km pipeline will link Tennant Creek in the Territory to Mt Isa in Queensland, driving commercial exploration and development of currently untapped gas reserves, unlocking the next phase of economic growth for the Territory and helping build a stronger Northern Australia. In his address, Antoon will provide an update on how the NGP project is progressing and the vision for its future. He will discuss the economic and job opportunities that the NGP will bring, and outline a way forward to drive further investment in the Northern Territory and the Northern Australian region. Antoon Boey has worked in the oil and gas industry for more than 20 years. In his role at Jemena, he is responsible for evaluating new business opportunities to enable Jemena to become a top tier energy infrastructure company over the next 5-10 years. Prior to joining Jemena in August 2015, Antoon was with Royal Dutch Shell since 1991 and has worked in Australia, Europe, Asia and the Middle East. Most recently he was responsible for overseeing Shell’s interests in Arrow Energy.